It was in a Hong Kong-style “tea café” in Birmingham that I had my first UK “Yuan-Yang” tea-coffee beverage late last year. I would not say it was well brewed. I don’t say that because it was made with bog standard supermarket instant coffee and an everyday black tea bag, but more because the Chinese waitress was “brewing” it in a haphazard, unmindful way that made me feel like I had inconvenienced her. “Yuan-Yang” (“鸳鸯”) means Mandarin ducks. In the eyes of the ancient Chinese, mandarin ducks formed a life-time couple that were rarely apart, unlike many other species of duck. Hence they were frequently featured in Oriental art as a symbol of conjugal affection and fidelity. By extension, the word “Yuan-Yang” is frequently used in Cantonese to mean a mixture of two different types of the same category. Hence a very appropriate name for this very unusual beverage. “Yuan-Yang” is said to have been created in Hong Kong during the Seventies. Whilst the art of the ‘cream tea’ was introduced to the Hong Kong Chinese by the British, it did not really have the level of oomph needed for the hard-working denizens of Hong Kong. Hence, some very clever café owners added black coffee to creamy tea. From a Traditional Chinese perspective, coffee being Yang (warming) in nature while the creamy tea is naturally Yin (cooling), this made for a well-balanced beverage that could be served both hot during the colder months and ‘on the rocks’ during summer. and pour them into the same cup. I know, I know! The tea lovers AND the coffee lovers out there are immediately recoiling with disgust at the mere thought of combining coffee and milky tea in one beverage! But I think the beverage’s popularity speaks for itself, and says quite a lot about the complex nuances of this drink. One first tastes the bitter aromatics of the coffee. The creaminess of the evaporated milk follows next and dilutes the caffeine bitterness. Then the sweetness of the cream and sweetener hits, followed by the slight astringency of the black tea, which quickly translates into a hint of the malty floral sweetness that is typical of black teas. It is a rather challenging drink as it leaves one’s palate trying to differentiate the aromatic coffee from the delicately sweet tea profiles. My recommendation is to let go of the desire to separate the coffee from the tea aromas and tastes and simply accept these multifaceted flavour profiles. 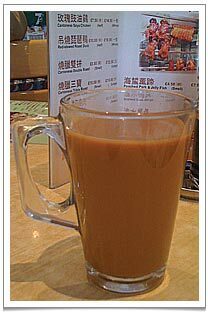 The tea used in cafes in Hong Kong is a rather complex blend of different types of teas. Some use 2 or 3 different grades of black tea from Ceylon together with the more processed teas from the likes of Lipton. Those who cannot bear to leave Chinese teas behind may add ripened pu erhs, red teas and rose congou black teas to their Sri Lankan and Indian cousins. Regardless of the precise tea blend, the proportion of milk to water is approximately 4:6. I think “Yuan-Yang” coffee-tea demonstrates the ingenuity of Hong Kong people in fusing Eastern and Western cultures but at the same time the contrasting flavours straddle the West and the East. Perhaps the beverage also reflects their determination to not be ‘owned’ by either the British or the Chinese by continuing to enjoy their very special concoction and unique way of life. The boisterous coffee from the West somehow sits quite comfortably with the restrained tea of the East and creates an interesting, synergistic effect that is both stimulating and slightly calming. 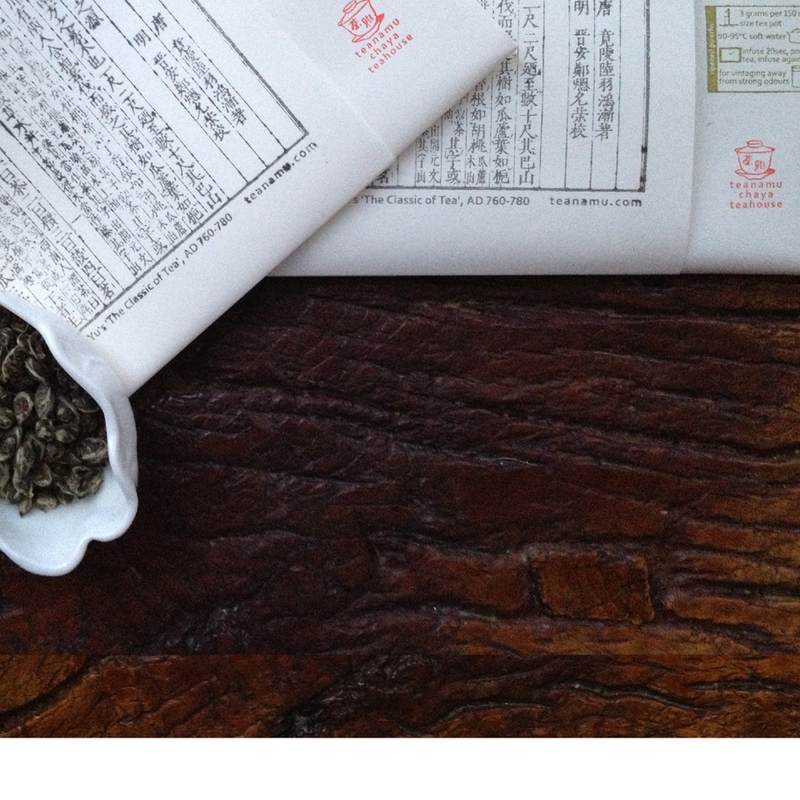 Whether or not you have made a resolution to try new things in 2011, do give “Yuan-Yang” tea-coffee a chance! Even if it is just to experience the “leave or stay” mentality of Hong Kong people who invented it back in the seventies, I think you will like the intriguing flavour! How fascinating! Once I had stopped recoiling (as you rightly predicted) I now actually feel strangley drawn to trying it out! Kudos to your willingness to try. It is really not that bad! 🙂 Enjoy!